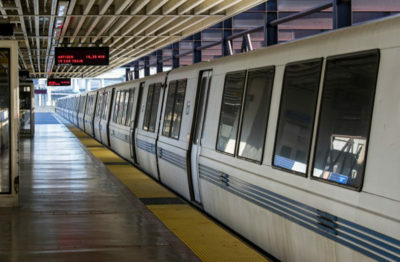 A man attempted suicide by jumping onto the tracks at the North Berkeley BART station Sunday, as first reported by Berkeleyside. According to an on-duty BART watch commander, BART police received a call about the incident at 11:46 a.m. and personnel within the station were alerted that someone was under the train. The man was taken to the hospital, according to the BART watch commander. The watch commander stated that he could not give out identification information for the man, although he said the man was not injured. 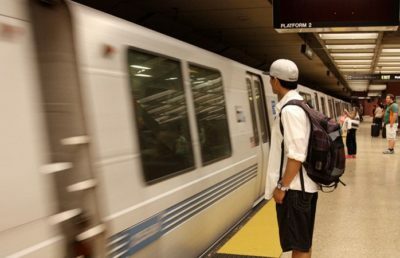 BART temporarily closed the North Berkeley BART station at 12:03 p.m. Sunday, according to a tweet from SFBARTalert. The station was later reopened at 1:06 p.m.
Revati Thatte is an assistant news editor. Contact her at [email protected] and follow her on Twitter at @revati_thatte.